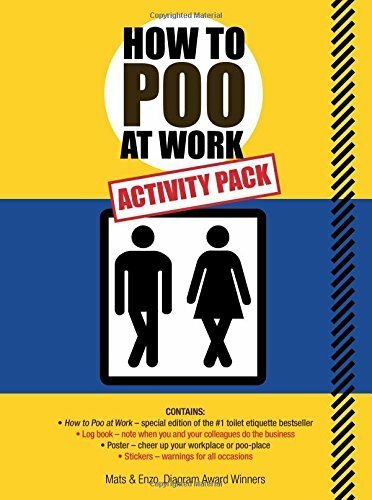 This How To Poo At Work activity pack contains a special edition of the #1 toilet etiquette bestseller. A Log Book to note when you and your colleagues do the business. A Poster to cheer up your workplace or poo-place and warning stickers for all occasions.